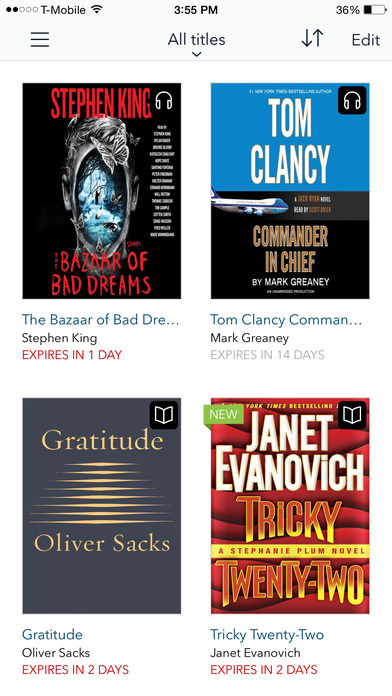 More than 30,000 libraries worldwide offer titles from OverDrive, so download the app and find your next book today. Its app is available on Android and iOS devices. "Overdrive is such as cool tool I added on my Google chrome browser!!! It’s very easy to use since I can manage all my ebooks in just one place! Thanks to overdrive!" 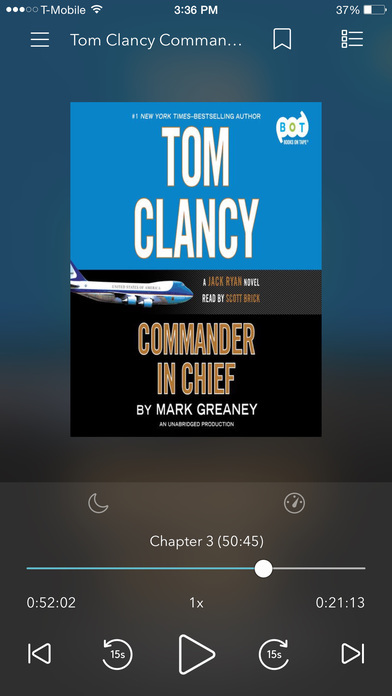 "If you're tired of reading e-books, you can try listening to audiobooks. Good thing that OverDrive has both. " "I have an account from OverDrive and I can find books from there. It also connects to other sources." "This app just works, it is simple to use and improves on the idea of returning. There are no late fees, and that makes it really nice to use, and not have to remember to return on time. 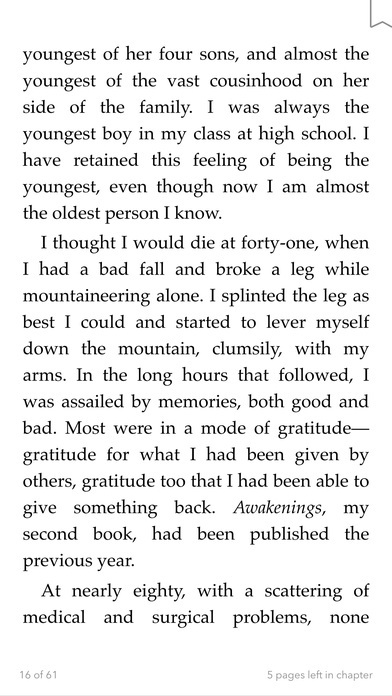 I found myself finding new books that I would have otherwise never have found." "The amount of information/books is amazing. I really like the feel of paperback books though so it would be tough for me to get in a groove with my tablet/phone. But i would never have this much access to this many books with just paperbacks." "Has an extensive level of books and creates a simplistic approach to book-reading. Everything is easy and accessible. It's an amazing app all-around and for those that love books especially. " "best bookstore apps for use overdrive to secure and good app to usage and make more effort to the app and most novel are developed app.to find many author books also on app." "I have tried to find a better app for online libraries and there just isn't one. This is, hands down, the best library app out there." "If you don't have a kindle this can be a great app. It syncs up with your library and you can read books without ever leaving the house. Nice if you have a busy schedule and can't always make it to your library before they close." "The overdive application is a free audio book, allowing you to work and study anytime, anywhere, and the application also supports text formatting to make the reader easy to see, always updated with many new books and very A variety of books support your majors"
"Can't go wrong with free access to 30k+ audio books. The app is easy to use and easy to search and sort. A must if you are into audio books and on a budget." "Absolutely love this app. Borrow audiobooks, digital books, and videos from the library consortium in my area. No late fees as they just grab the content off your device when the due date is up. You can put checked out books on hold for your for when they are available. When available they send you an email that the book has been checked out to you. I tell all my reading friends that they should get the app and I sing it's praises. It is easy to search for a specific book, author,. or literary genre. I would recommend this app to anybody who loves to read"
"I love books. I live for books. I came on here seeing if there were any apps that are made specifically for people like me. I was told to try Overdrive. I can't believe that I now have access to over 30,000 libraries. This is my new favorite app!" "I wanted a romance book, so I downloaded Overdrive to search their collection. Found a couple great reads already!" "This is a fantasic app, you have access to thousands of books. And not just childrens books but if your child has any interests you can find a book thatll be something they approve of"
"If you have love of reading like me then you would also find Overdrive helpful. With over 30,000 titles at the tips of my hand, I can take my book anywhere I want. 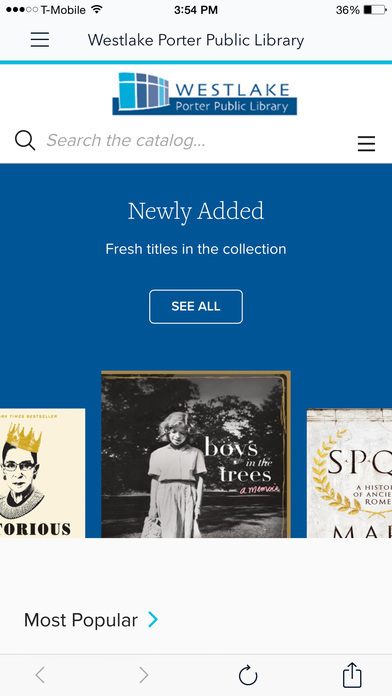 I can make a wish list for the titles I want and never ever have to remember when to return my books as they are auto returned. No worries for late fee ever." "Omg, this app is fantastic! While I totally love going to physical libraries and reading actual books, as a student, this app has been a lifesaver! If it's late at night, and I realize I need to read a book at the library, I don't have to waste time getting out, but can access it on my device. Thanks!" "The concept is nice but it says you have to have an account with a participating organization before you can use it. It does not have a way to check which places are eligible. Would also benefit from an offline mode"
"Great app! For audio books or readable books, I wish you could listen to books and read them at the same time. Super easy to use. You can even place holds and get notified by email"
"I didn't want to mess with the traditional Apple Books or Kindle app so I decided to try Overdrive. Great app. I was able to find all the books I wanted at a great price." "OverDrivewould have been better if the latest books are also here. but ofcourse that's impossible! Anyways I got to search Doctor Who in OverDrive and I look forward to using this site when looking for other audiobooks in the future." "This app just works flawlessly on my iTouch. Once I log in, the app does not lag or does not even hang or whatever you guys call it. I also love that it's easy to control and use. " "This app requires that you not only have a library account but that your library is an Overdrive participant. If your library does not participate, then this app is useless. If it does, then I would say that it's worth a shot. Whether or not it will have the audiobooks you're interested in is another story." 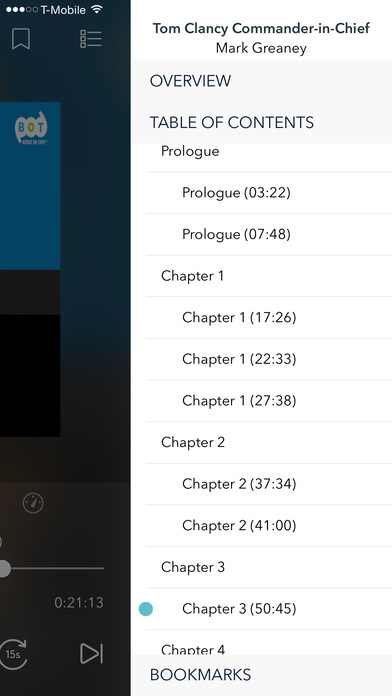 "Overdrive Is an audiobook app everyone need to possess. With an extensive library that contains all books and literature you’re interested in, you’ll be reading in no time and finding the next great novel." "Overdrive is a really helpful tool that that puts the library search at your fingertips and in your pocket. I have used this a ton and it is a "go to" app. This app can help you locate just about anything easily." "This app is great for checking out books from your local library. If you want to download them to keep them, this probably isn't the app for you. But it has a lot of features like audiobook, which works great. "